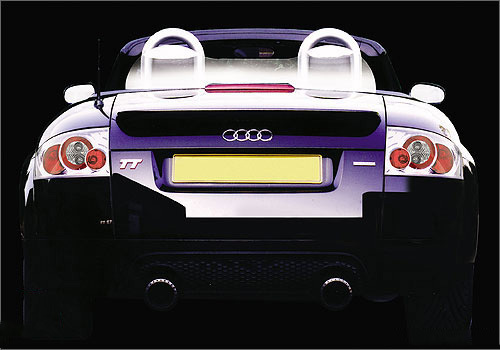 I was asked by a forum member what were the different tail lights options the the MK1 TT. Since I had searched myself, I will post my findings. I’m personally not sure of changing mine, since I like their original look (very well like the LED Headlights). But it all depends on my final paint job: it may require additional changes to the rear, including the tail lights. We’ll see then! To my best knowledge, there is only 5 different options available for the TT. 2 are conventional and the 3 other ones are LED. Pricing varies from 170$ to 550$. Smoked/Tinted Rear Lights. 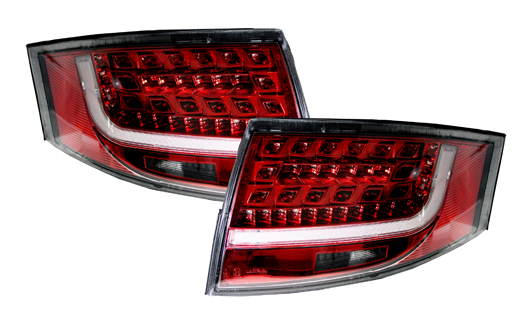 These rear lights are original Audi rear light lenses which are prepared in 3 different stages of Tint: Light, Medium and Dark Tint. Their cost is about 350$. There i also a DIY spray paint you can use to cover the lens. The finnish is ok, but not great. The only advantage being its low cost. Lexus style tail lights. 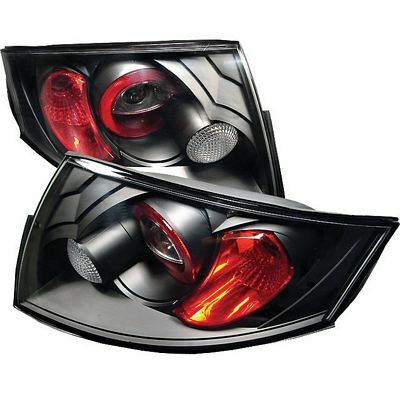 These lights are offered in clear or black versions. They are the cheapest option here and go for around 170$ a pair. Look them up under: Altezza or Lexus Type Tail Lights. 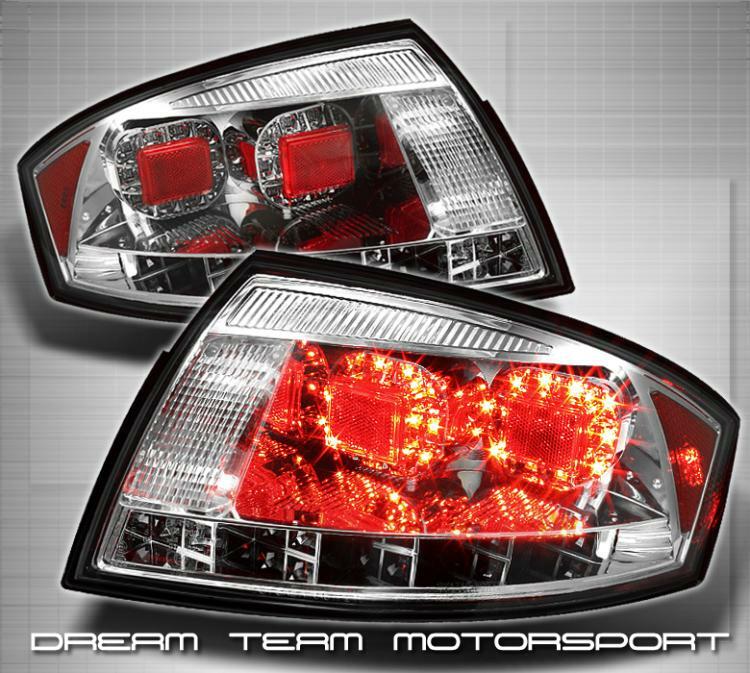 Dream Team Motorsports sells LED tail lights for the MK1 TT. They look different but somewhat cheap, as the interior looks like a rectangular insert incorporating two square LED lights. There is also a LED yellow bliker strip. They go for about 190$. 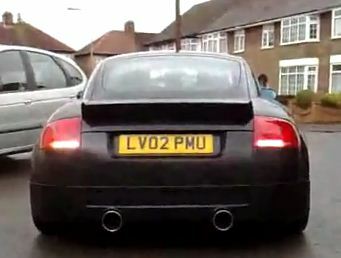 R8 Type Tail Lights. 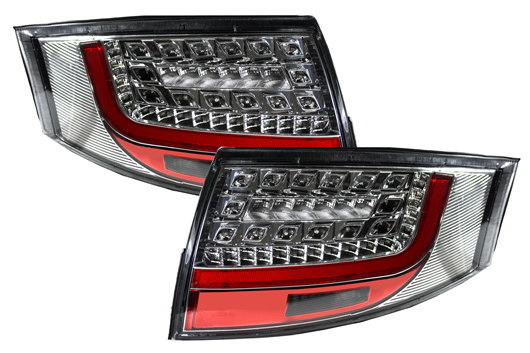 Typical of the new “updated” TT look, these LED R8 type headlights are often used with the new Audi TT body kits that include the R8 design elements. They are available in red or chrome interiors and are yours for about 550$. It’s very funny to read forums that discuss about them: 50% of the posts are for them, the other 50% against. The main reasons against are focused on the lights design: the majority saying they look cheap or “not good enough”. It is true that the brakes, when lit, are pale and the color is pinkish. Modified tail lights. 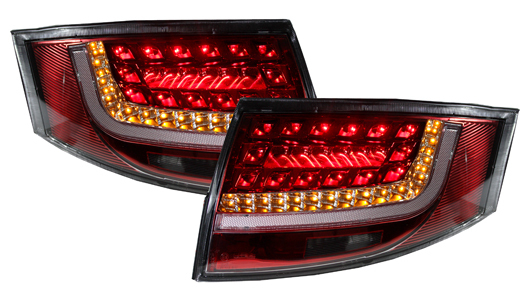 A few suppliers around the world will modify your tail lights to make them different. This custom made tail light has LED strips as blinkers and LED backup lights. Cool idea. I like the way the back-up LED strip lights. Their prices are usually higher and vary between 500 and 700$. 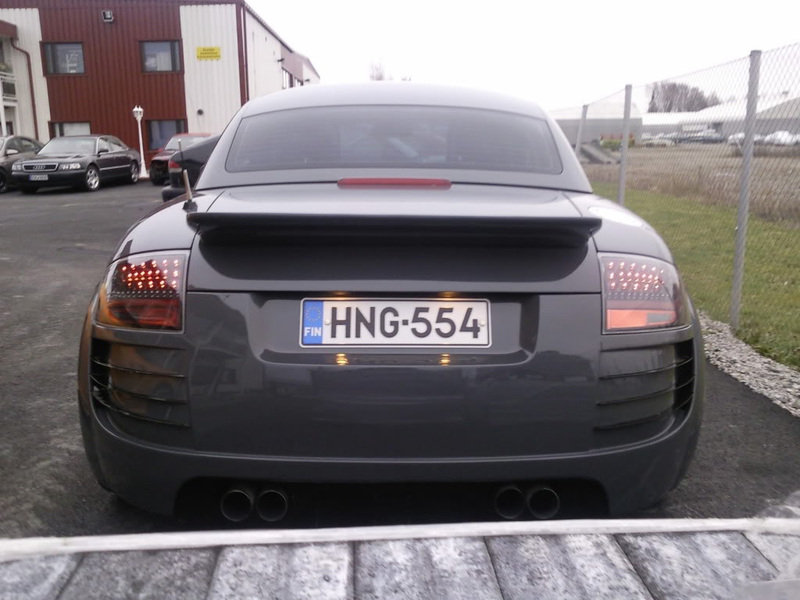 This entry was posted in Audi TT MK1 and tagged LED, LED DRL. Bookmark the permalink. How do I order a pair of the R8 Style LED lights for the TT in red? 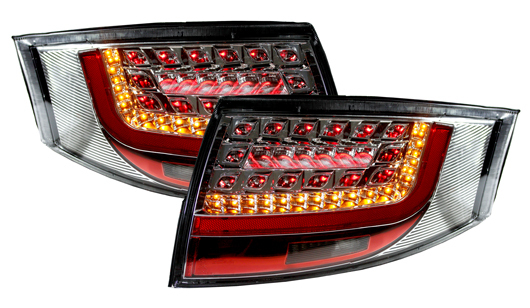 Hello, where can I find modifyed tail lights with LED strips as blinkers and backup lights? Do you know if anyone in the world sell them? You can contact Naresh on my behalf. Hello, haven’t you built anything about these led tail lights? 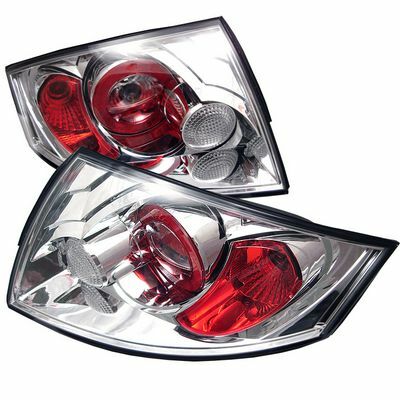 I think many people is waiting for something about it, in Europe too it’s impossible to find any good looking and well done rear lights…. I’ve wrote an email to Naresh but he seems not to be on line, Pogea Racing said me last year they were working on that tail lights but there aren’t any news……. Hi I was intested in clear tail light, where are you located ? I unfortunately don’t sell those. But you can buy those directly on eBay! hi guys im intersected in the all red LED rear lights. Where can i get them from and how do i order them as i Live in Australia?